Far from an issue of his own doing, Chance The Rapper's impromptu, and improbable, mainstream surge has caused the Chicago streets he once represented to feel, suddenly, at a loss when it comes to Hip-Hop. 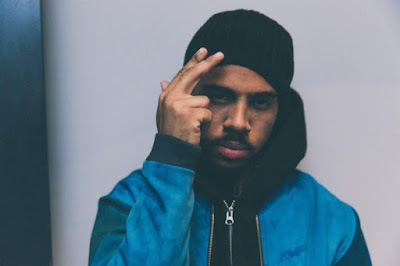 That compared to a few years back, when The Social Experiment, Jamila Woods, Vic Mensa, Joey Purp, Noname, Mick Jenkins, Towkio, Saba, and more all aimed at unifying the youth of Chicago through Juke music. Now that Chance lives outside Chicago, rather than through it, representing the city like any rapper who 'made it' would, the tattered remains of their potential collective now nothing more than a proverbial what if. There was a time, believe it or not, where Vic Mensa stood on the same plateau as Chance, releasing the well-regarded Innanetape the same year as the infamous Acid Rap (2013). As recent as 2015 we saw the aspiring rockstar crouching alongside Kanye West himself during the notorious SNL 'Wolves' performance. He was poised for success, but denied entry when the industry only allowed one Chicagoan to thrive. That's not to say the quality of his music demanded a reputation, lacking any identifiable characteristics that the populous would savor. 2017 may be too late, but with The Autobiography, Vic's debut album, he aims to correct that. Time has not been kind to the 24-year-old, who waited three years, just like Chance, to drop another project. However, while one created Coloring Book, with Justin Bieber, Lil Wayne, Future, and more alongside him, the other released There's Alot Going On, a terrible seven-track EP, that still forces me to correct the title's typo since every writing software, apart from Vic's own pen, fixes it automatically. At times the approach was commendable, coming down like a hammer in a riot during a time of political upheaval. Tracks like 'New Bae' and 'Liquor Locker' prevented any pressure points from sticking though, with the worst possible combination of Hip-Hop cliches and lousy musicianship. Earlier this summer the same criticisms applied to The Manuscript, another EP that ultimately became the teaser to The Autobiography. Leave it to Vic to pick 'Rollin Like A Stoner,' unquestionably that EP's worst song, as the sole double dip here. Expectations were about as low as one could muster, and while it wasn't difficult to beat, I still find myself surprised at The Autobiography's relative success. Periodically strong content, distinctive beats, and a thematic feel only mildly harmed by Vic's inescapable lack of talent. For what has promise can undoubtedly be reduced by the man himself. The Autobiography begins with 'Say I Didn't,' an opener that throws a haymaker, not through aggression but rather reserved modesty. The beat, stitched together by various vocal samples, an homage to Kanye's old school beginnings. Knowing that The Autobiography was executive produced by No I.D. isn't a surprise, as 'Say I Didn't' would've worked swimmingly alongside his warm production on Jay-Z's 4:44. Much like Jay, Vic decides to stow his braggadocio away in memoriam of his humble roots. Unfortunately, this heartfelt style doesn't return until the album's closer 'We Could Be Free,' a track that aims to unite like those Chicago days of yore. Apart from some successes here and there, 'Say I Didn't' and 'We Could Be Free' represent the best of The Autobiography's bunch. That's because, by the time 'Rollin Like A Stoner' rolls around, Vic's ugly Rap Rock half surfaces. The production, sterile and artless, is one thing. The content, a byproduct of this enforced aggression, another entirely. It's here where Vic's rockstar delusions best him, choosing to treat (and enact) personal issues as nothing more than song topic fodder. See to 'Homewrecker,' a track that tackles Vic's personal dilemma with domestic abuse, but one that's horribly misguided. Vic accuses, and rightfully so if the events are factual, that his wife's a home-wrecker and crazy, but fails to acknowledge his own adultery as the source of her reaction. Then, on the very next song ('Gorgeous'), Vic's glorifying his infidelity, saddened by the fact he can't have a women whilst in a committed relationship. These are problems created by oneself, most notably those who are surrounded by groupies. Elsewhere, like on 'Rollin Like A Stoner,' 'Wings,' or 'Heaven On Earth (Reprise),' Vic uses suicidal tendencies as a way to attract attention. Now, whether or not depression grabs ahold of him is unclear, the issue arises, again, in his glorification of said act. "Climb the tallest building and spread your wings" or "as a I stood in the bathroom with a nine millimeter in my mouth" reek of the fake, cinematic reenactment of suicide, one that idolizes the act for glamorous purposes, akin to how fans treated Kurt Cobain or Amy Whinehouse's deaths. It's sickening, and incredibly offensive to those actually suffering. If that was the entirety of The Autobiography we'd have problems. Thankfully, when Vic steps away from his manufactured ledge and tells tall tales of his past, the result is admirable. 'Heaven On Earth,' while reminiscent of Kendrick Lamar's 'Art Of Peer Pressure,' grips the listener with inner-city crime and collusion, continuing into 'Card Cracker,' and climaxing with Chief Keef and Joey Purp on 'Down For Some Ignorance.' The Rap Rock banger succeeds, unlike every other effort, because Vic's not afraid to buy into a story where he's the naive one. Reminds me of To Pimp A Butterfly's first three tracks where Kendrick embodies a younger persona without hinting at doing so. Another aspect of Vic's personality that can't go without being mentioned is his acceptance of reality. More specifically, his cherished upbringing. On 'Say I Didn't' he dignifies the efforts of his parents, going so far on 'We Could Be Free' to question "why I'm still alive when the realest niggas die?" I applaud Vic for appreciating his amiable childhood rather than neglecting it to appear tougher. Now, if only Vic could work on his lyrics (he still expounds every clever line with an explanatory follow-up) and ditch the wannabe rockstar ego, a promising future may exist. 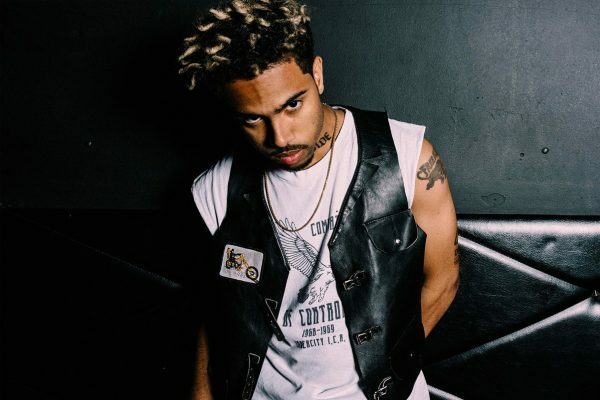 Ignore past failures, The Autobiography's Vic Mensa's new beginning. I do have a real job, this is just my hobby.